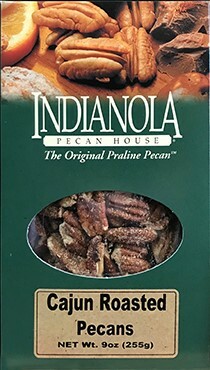 9 oz Box Cajun Roasted Pecans - our Cajun pecans are a spicy take on our other gourmet pecans. This spicy gourmet pecan is sure to be a hit! Give them a try today! 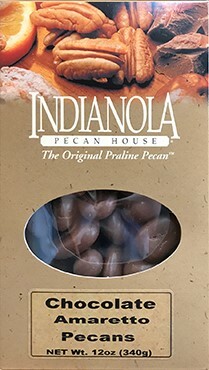 Try them with some of our best-selling praline or chocolate pecans! You will need something sweet with those Cajun pecans!